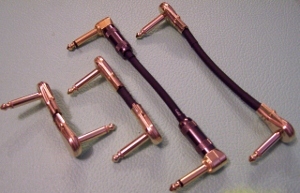 Premiere IC00 GS6 18 gauge Instrument Cable with G&H Copper Core Gold tip straight 1/4" connectors (90 degree plugs are optional). 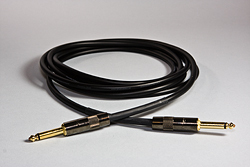 Great sounding - low capacitance - full range cable for Bass players, Guitar players and Keyboards). 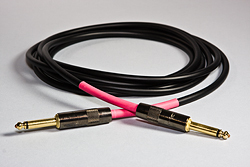 Premiere IC00 4E6S Instrument Cable with G&H Copper Core Gold tip straight 1/4" connectors (right angle connectors are optional) and with 21 gauge Canare 4E6S Star quad cable. Warmer than most, very pleasing and smooth sounding. Please choose cable color and length. One price for any length up to 3ft!! NOTE: Depending on your application you may still need a line matching transformer. 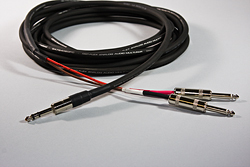 Premiere ICX2 GS4 are Instrument Cables made for the X2 or Sennhieser Type Wireless system to go between your guitar/bass and the transmitter unit. 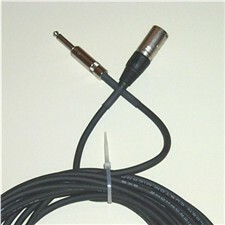 Made with the very nimble Canare GS-4 instrument cable and come standard with Right angle G&H Copper Core 1/4" connectors (straight plugs are optional) at the guitar end and G&H 3.5mm mini TRS plugs at the transmitter (choose between straight and right angle). We do not use the screw locking plugs at the transmitter. They can damage your transmitter when the cable gets yanked, yanking also causes the cables to fail.